Rated 5 out of 5 by catladyx10 from Fell in love I previously played the first Laruaville and then bought the 5th. I have completed both and I thoroughly enjoyed them. I just purchased the other 3 in the series. The graphics are bright and cheerful. Some of the mini card games are a little tricky. I never skipped any of them, but I did have to play them several times in order to win. Some of the "find the difference" mini games are hard. I end up just clicking all over the place until I get them all!!!. All in all, these games are great fun. I find that I don't want to stop and really have to force myself to leave the computer and go do some work!!!! Rated 5 out of 5 by tutortime from Love this series! Great game, beautiful graphics, colors and sweet storyline. Please make more soon. Rated 5 out of 5 by IsisRising from Love This Series A couple of our little ghost friends have been stranded on a desert island and must find a way to get home. This one has some new twists in game play that make the game as much fun as the other 4. I own all 5 games and find them fun. Rated 5 out of 5 by deddu from ANOTHER WONDERFUL LARUAVILLE Love this series. You can play timed, number of moves or relaxed. You clear the boards of the coins and there are challenges on every board. 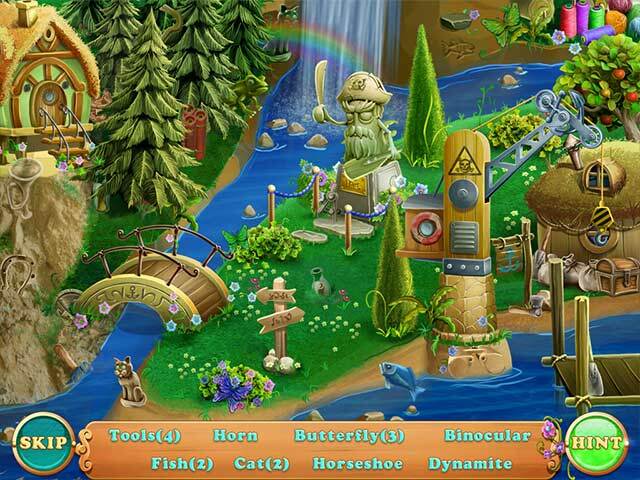 You also have solitaire one up or down, find 12 things different, and hidden objects. If you like explosions there are a lot of them. Rated 5 out of 5 by Marja67 from Cute and fun. I own several of these. Build a city with everything in it. It is cute and fun! Rated 5 out of 5 by verimeri from Laruaville 5 I just finished the game and I loved everything about it. This is the best Laruaville ever. 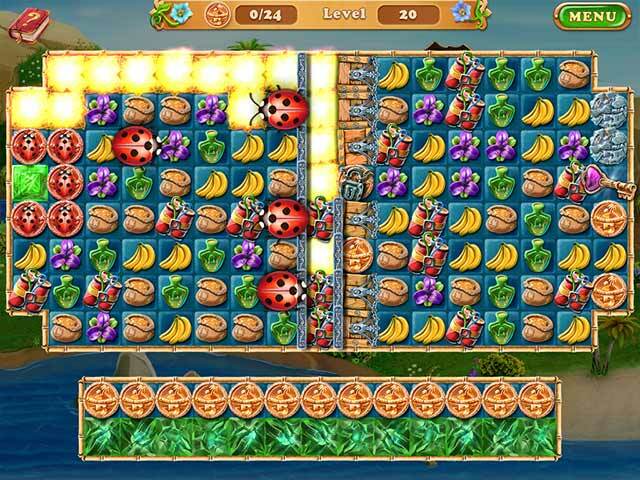 The levels are more challenging than in the previous games and a lot more fun. In some levels figuring out what you needed to do was the hardest part but that is the challenge. I also liked that this game went back to having a variety of mini games rather than just mah-jong. I sure am hoping there comes a Laruaville 6. Rated 5 out of 5 by a7752p from Laruaville 5 I love the Laruaville series and I have them all. This one did not disappoint! My only complaint would be that it ended to quickly. Rated 5 out of 5 by WinterWhimsy from One of my favorites! I've waited a year for this version to come out and it was well worth the wait! I buy these right out of the gate, they're that much fun! I have all of them of course .... but this time they've outdone themselves! Talk about excitement and flash! These are the kind of games you can play over and over and never get tired of them! Rated 5 out of 5 by Sherry__Rose from If you liked Cursed House 3 . . . you'll love this version of Lauraville. It has the same mechanisms as in CH3 but without the sinister elements. Just a thought, CH3 would be a great October game to get! But this episode of Lauraville is different from the others and offers more of a challenge IMHO. This is a definite buy for me. Rated 5 out of 5 by greenshade from Have them ALL I was going to wait until I had finished the latest installment but I am at Level 54. I found this game easier than the other 4 UNTIL I reached Level 53. I was finally asked if I wanted to skip that level but I said no and was determined to finish it. whew.. finally did. Now I will go back and work on the rest of the levels... I am more about playing the match 3 than obtaining coins and building and appreciate the immediate skip on the puzzles and mini games. 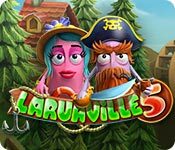 Each Laruaville has it's own challenges and plays a little different from one to the next. Part of the fun is looking at the new board and trying to figure out "ok.. what am I supposed to do HERE?" I love each one for the difference in game play but enjoy number 4 for the holiday spirit. Hope one day we see another holiday (any holiday) Laruaville.